Autumn in Dixie National Forest. 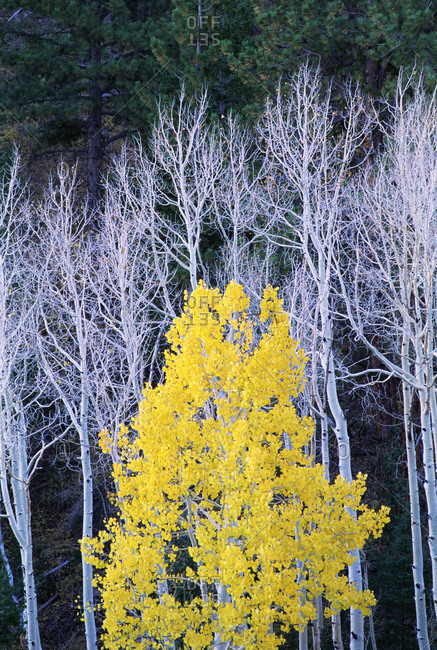 White branches and tree trunks of aspen trees, with yellow brown foliage. Dark green pine trees.